Just in time for stocking shopping! 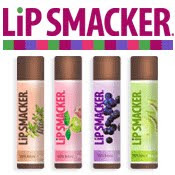 Print off a $1/1 any Lip Smackers product coupon. Thanks, Spend Less and Save More! Thank you for the reply! It worked great! I was at Rite Aid yesterday and they were bogo 50% on the $1.89 price individual ones. I don't know if it was a weekly special…I didn't look at it close enough. From previous experience I figured this was going to be a IE coupon–so I copied and pasted the link and opened up IE (as I use FF)and when it went to print (it had wi in the link) it printed out…,but the coupon was the reverse image….two coupons in reverse–wonder if this means I need to reinstall the coupon software…so sad–I had two other computers…maybe the image can be reversed in PS and printed out…what cause the coupons to print out reverse? I'm having trouble printing these coupons. When I click on the link and then on print coupons it takes me to a screen that is blank and never changes…HELP!